The yarn is Vanna's Choice Lion Brand "Seaspray Mist". The other yarns were worsted weight scraps from my collection. Its summer. 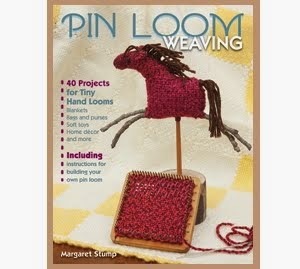 This is a great time to kick back with a simple pin loom project. If you have kids to entertain, its nice to be able to introduce a project that they can accomplish in a day or two. Plus, its too hot to have half an afghan on your lap while you're putting it together. This is the season for portable projects. My favorite simple project is the mug rug. There are endless variations and we all need a coaster sooner or later. The mug rugs shown here were made to match the mugs in order to turn a so-so gift into something personalized and special. 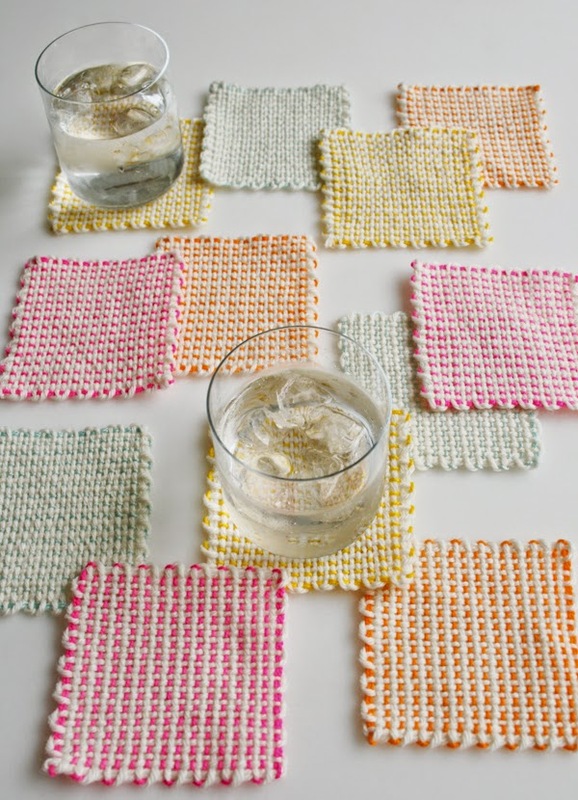 To make the coasters shown above, weave a 4" square and add a 2" x 2" poppy colored square, turn into a Loom Bloom by pulling on one horizontal and one vertical line of yarn. Secure the flower with a contrasting color. Make the flower stem by using a running stitch in the darker color. Coasters come in such infinite variety. 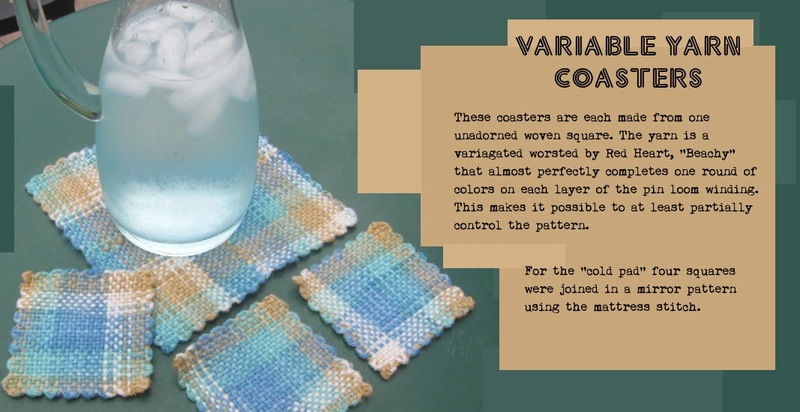 Angela Tong made the incredible coaster on the right, taking advantage of one of the pin loom's best properties, that its a wonderful medium for cross stitch. 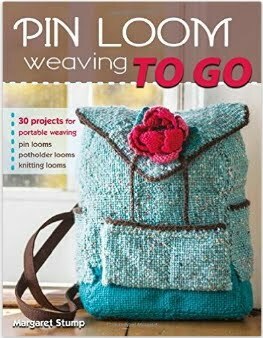 The complete directions can be found at her site, Angela Tong Designs. 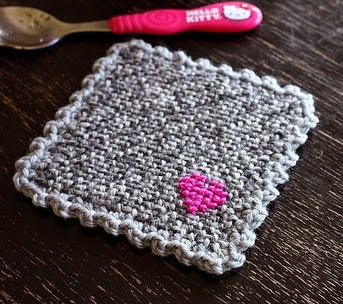 Another design from the web - Purlbee offers a kit with Zoom Loom, yarn and instructions for a great set of coasters.